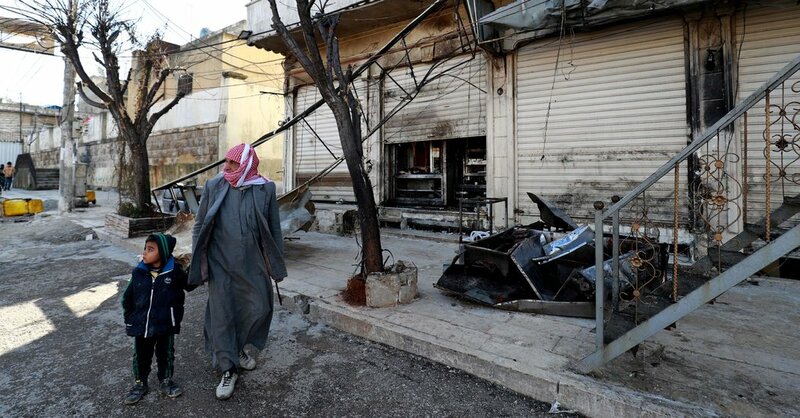 The last time the extremist group was declared defeated, it returned even stronger than before. This sounds like Trump is preemptively declaring victory when it’s patently not the case and then we’ll end up being right back in the same situation one or more years down the road. The president’s abrupt order may have raised important questions about the future of American wars, but it stymied others. Christiane Amanpour interviews Michael Lewis, author of “The Fifth Risk: Undoing Democracy,” “Moneyball,” & “The Big Short;” and Peter Szijjarto, the Hungarian Foreign Minister. Michel Martin interviews Larry Ward, the Chief Marketing Officer at Gun Dynamics. A new audio series following Rukmini Callimachi as she reports on the Islamic State and the fall of Mosul. This series includes disturbing language and scenes of graphic violence. I’ve sampled several episodes via The Daily, so I’m officially subscribing so I can get the rest of the episodes. ISIS turns fantasy into reality for a new recruit. 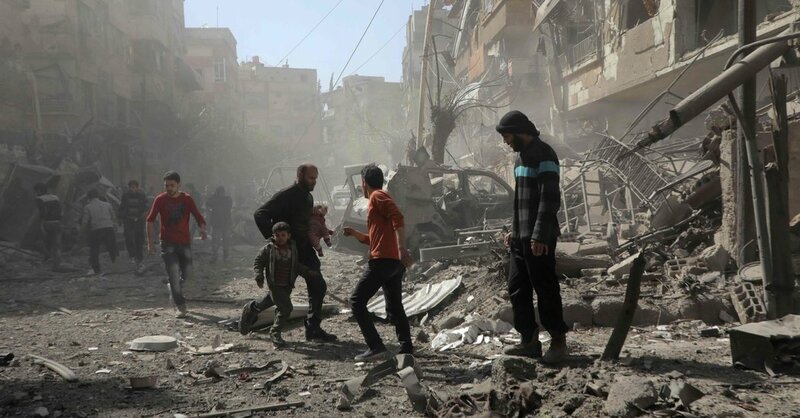 The United States says that the suspected chemical weapons attack on the rebel-held town of Douma, Syria, this month was part of a military push by President Bashar al-Assad’s government to break the will of the people still living there. One of them tells his story. On today’s episode: Mahmoud Bwedany, who grew up in Douma and was there when Syrian forces attacked this month. • Dozens of people died in what rescue workers said was a chemical attack on a suburb of Damascus. • After repeated delays, international inspectors are examining the site. Refugees selling the food of their homeland to get a start in a new life is, by now, a cliché. Khaled (in the photo) joined their ranks a year ago. But cliché or not, selling food is an important way to give people work to do, wages, and hope. If it’s happening on your doorstep, which it is, and the food is good, which it is, what’s a hungry podcaster to do? Go there, obviously, and report back. Which is why, a couple of weeks ago, I found myself, microphone in hand, waiting patiently in line for a falafel wrap. Truth be told, there aren’t that many Syrian refugees in Italy. The most recent official statistics put the total at around 5000 with a little over 600 in Rome. Hummustown is helping a few of them. The Hummustown website tells more of the story and has a link to the GoFundMe campaign. Somewhat different than the usual episode here, but in the best of ways. Still a wonderful look at food, culture, and humanity wrapped up in a fantastic story. President Trump has promised retaliation for a suspected chemical attack that killed dozens of Syrian civilians. What would that look like? After a suspected chemical attack in Syria, President Trump said Iran and Russia were responsible for backing “Animal Assad.” But Damascus may view the United States as being focused on a different fight. President Trump has warned that there will be a “big price to pay” after yet another suspected chemical weapons attack in Syria. But the suspicion that Syria continues to use those weapons suggests it views the United States as being focused on a different fight. • Ben Hubbard, who covers the Middle East for The New York Times. 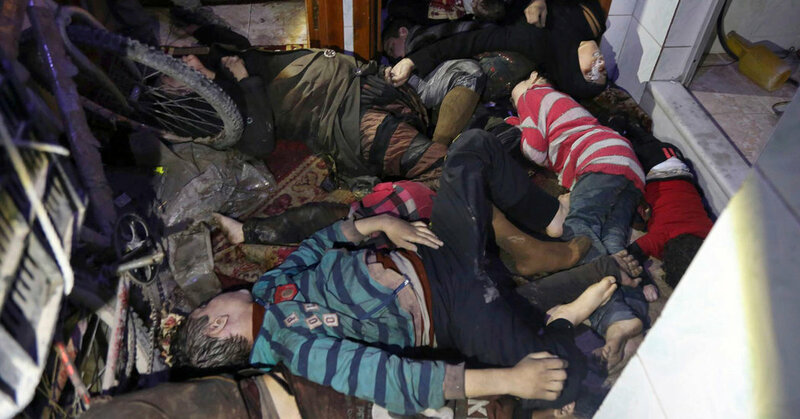 • Dozens suffocated in Syria after a reported chemical attack on a rebel-held suburb of Damascus. 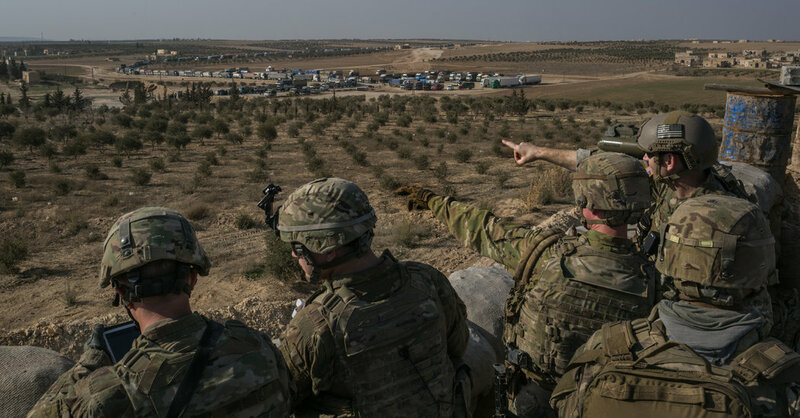 • Trump sought a way out of Syria, but the latest attack is pulling him back in. • There have been similar deadly assaults for years, including one in 2013 that killed more than 1,400. Listening to this a few days on it sounds more like Trump has even more bluster than Obama, but he’s doing roughly the same thing. Yet again, small countries that should know far better are continuing to trod on their own people. Sadly, America is doing it to, just with far more sophisticated weapons. If we can’t figure out the right and wrong at the big obvious scale, how can we have proper morality at the smaller and more subtle scales? Mike Morell, former deputy director of the CIA, on Donald Trump and his recent op-ed endorsing Hillary Clinton. First let’s start with the fact that I’m a big Mike Morell fan! If you want to know about world politics and know more about not only the big picture but the minutiae, and learn it from someone who can not only lay out an argument succinctly but with great depth, there is no better tutor than Morell. A former deputy director and a former acting director of the CIA, Mike Morell is about as good as it gets in understanding foreign policy. Morell is great at laying out simple facts and figures relating to incredibly complex and nuanced events and exploring a range of potential options, and then, only if asked, will provide any personal opinion on a subject. I love the fact that he appears frequently on Charlie Rose which is about as good as it gets in the interview game. Listening to their discussions will make you a better citizen, not only of America, but of the world. Last week I was floored that Morell, a lifelong non-partisan due in great part to his decades long government service, broke ranks to endorse Hillary Clinton in an influential op-ed piece in the New York Times. I suspect (completely a gut reaction on my part) that despite not having registered with a political party, Morell leans more to the right and would generally vote Republican. Despite this, he laid out a scathing argument why Donald Trump should not be the next president. He was my foreign policy hero to begin with, but now I’ve got to build the pedestal even higher. I’m glad that despite the sacrifices he had to make to present such an argument, that he stood up firmly for what he believes is right for the country. If you haven’t read his piece from Friday, I highly recommend it. If you prefer a video version with more discussion and elaboration, then last night’s Charlie Rose was fantastic. Even better, if you want a scintillating and engaging primer on world politics, jump back into Rose’s extensive archives and watch all of Charlie Rose’s past interviews with Morell.